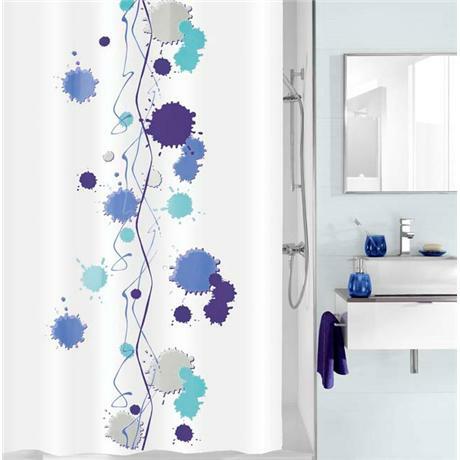 This premium high-quality Kleine Wolke textile shower curtain is the ideal accessory for your bathroom, made from highly durable polyester. The Klexx shower curtain is water repellent, easy to clean and washable at 40°C. Hi, the eyelet hole is about 0,8 cm. Hope this helps! "Was slightly thinner then I thought it would be, very see through."